Working with Women Impacting Supply Excellence (WISE), the outreach center partnered with C200, an organization of successful women entrepreneurs and corporate innovators, to host the Leaning In: Diversity in Business Leadership conference on October 9 at the Donald W. Reynolds Center on the University of Arkansas campus. This partnership generated several scholarships from C200 for both undergraduate and graduate business students. More than 100 students competed for scholarships, but only six students could win. The C200 has been providing scholarships to MBA candidates for 15 years. This is the first time the organization has awarded scholarships to undergraduates as well. 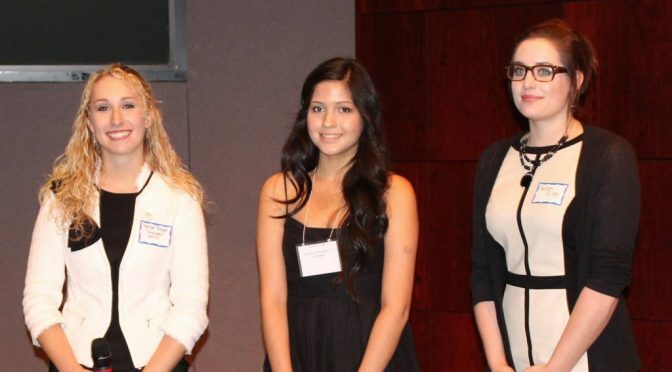 The three undergraduate scholarship recipients were Rachael Booyer, Chelsea Riley and Jasmin Leon, who were each awarded $5,000 for their academic pursuits. Three graduate students received $10,000 each for their academic or entrepreneur pursuits and may participate in a scholar network of some 80 women around the world. 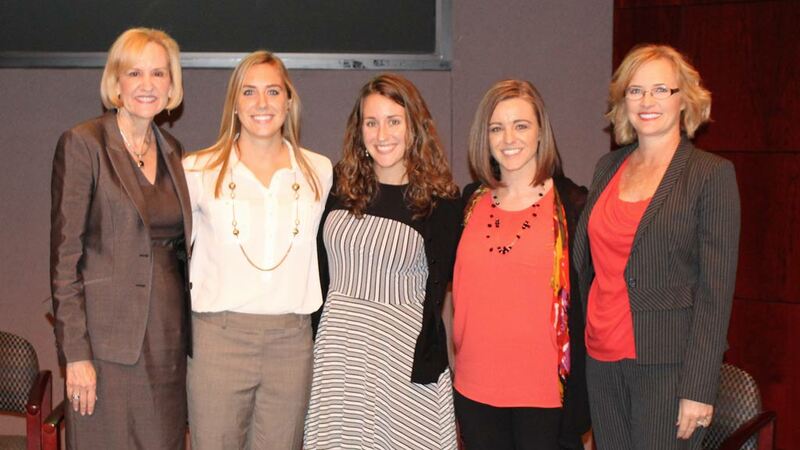 Those graduate scholarship recipients were Cassie Boyer, Adrianne Cristofoli and Kelli Snell. MBA candidates receiving scholarships are joined by (far left) Sue Burnett, president, Burnett Staffing Specialists, and (far right) Rochelle Bartholomew, chief executive officer and president, CalArk. The scholarship recipients are (left to right) Cassie Boyer, Adrianne Cristofoli and Kelli Snell. Keynote speakers include Gay Gaddis, CEO and founder of T3 (The Think Tank), and Becky Halstead, retired Brigadier General, U.S. Army.